Lithium battery power is your best option when building high power portable sound projects. This battery holder charges three 18650 Li-Ion batteries when used with a 15 to 24 VDC power supply (sold separately). Enjoy prolonged listening with this 12 VDC advanced power option. Dayton Audio's LBB-3 delivers high current portable power to small amplifiers, 50W amp boards, or other 12 VDC projects by combing the voltage from three 18650 Li-Ion batteries (sold separately). 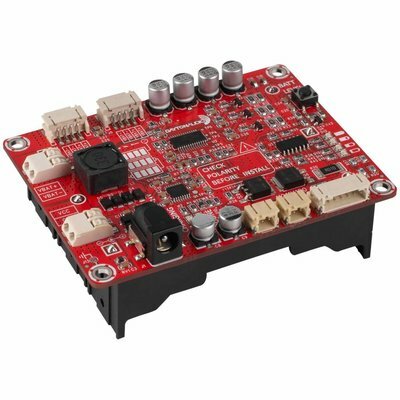 It's small enough to fit inside a portable speaker and has multiple 12 VDC outputs to power an amp, tone control, Bluetooth, and other preamp component boards. Enjoy the extended listing time you get from Li-Ion batteries on a single charge. 18650 Li-Ion batteries come in a variety of amperages, and to get the longest playtime from a 50W amplifier or amp board use at least 2600mAh batteries. There is no need to remove the batteries from the holder because the Dayton Audio LBB-3 has a built-in charge circuit. Just plug in a power supply and the over/under charge circuit prevents correctly installed batteries from overcharging and fully discharging, shortening their life. The LBB-3 battery board needs a 15 to 24 VDC power supply (sold separately) to start the charging process and to start its output power. This enables you to listen to music while the batteries are charging with this amazing battery holder. 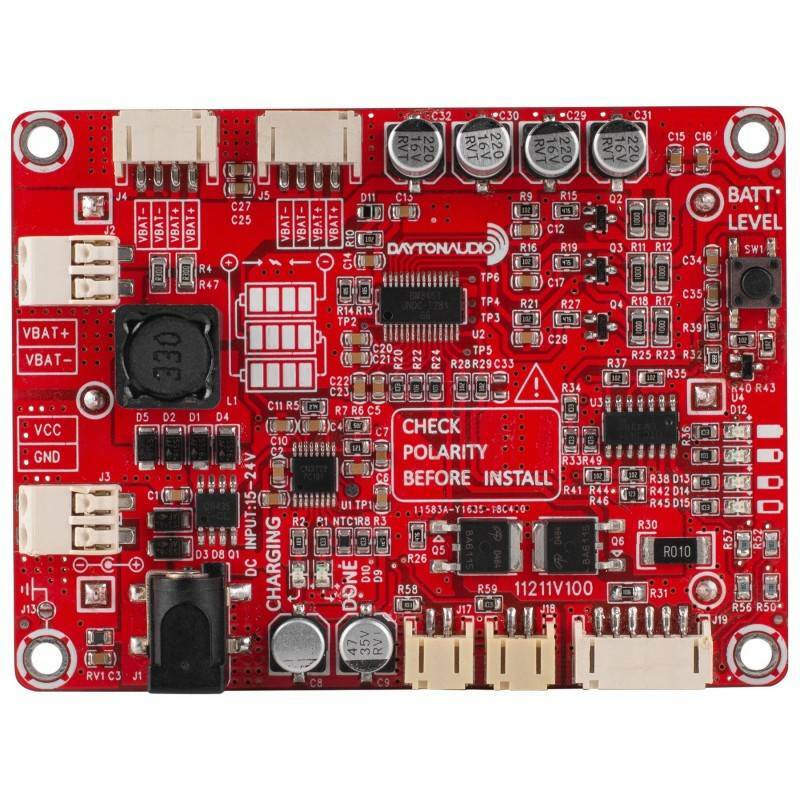 To view charging and battery status press the push button on the battery board, or use Dayton Audio's LLB-LED push button and LED kit to view status externally. If you remove a battery, the power supply must be plugged into the holder for the battery board to start working again when the battery or batteries are reinstalled. The polarity of the batteries must match the polarity of the battery holder to prevent damage. Note: The Dayton Audio LBB-3 is an independent battery holder board and it's design is not for Dayton Audio KAB boards. 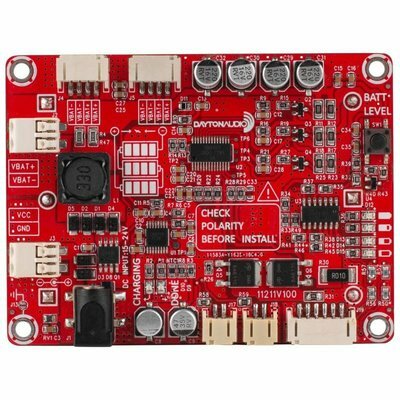 Use Dayton Audio battery board KAB-BE with Dayton Audio KAB Bluetooth amp boards. Specifications: • Output voltage: 12 VDC • Input voltage required: 15 to 24 VDC at least 2A recommended • DC coax jack size: 2.1 x 5.5 mm center (+) polarity • Batteries: Three x 18650 Li-Ion (sold separately) • Dimensions: 3.61" W x 2.72" D x 1.34" H (92 x 69 x 34 mm).